After years of rumors, the Air Jordan 6 “Gatorade” is finally set to release this year. 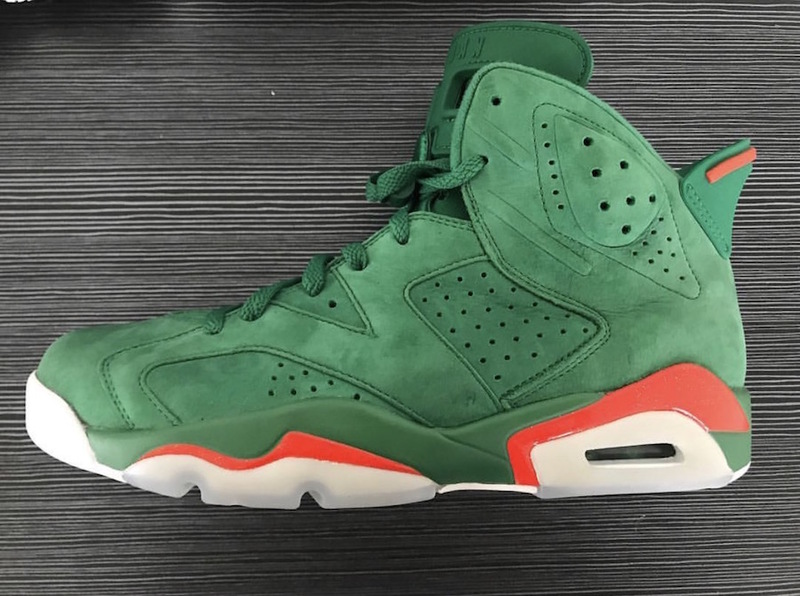 The rumored kicked off over 10 years ago through sneaker forums and soon, the Air Jordan 6 inspired by Michael Jordan’s 90’s Gatorade campaign will soon come to life. The Air Jordan 6 will feature a Green upper alongside team orange similar to the Gatorade color theme. A translucent outsole has been slapped on the bottom, with hits of white and green. Look out for the Air Jordan 6 “Gatorade” to release at Jordan Brand retailers across the globe on October 21st 2017 for $190.